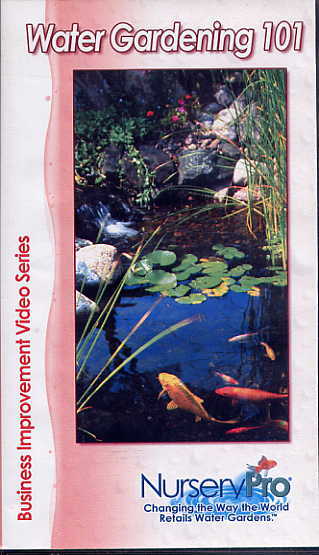 Take a trip through the world of water gardening and explor the watery fantasy for yourself. Learn about the delicate ecosystem that keeps all-natural water garden in check - from fish, to aquadic plants, to bacteria - it's all covered here! Gain a whole new appreciation for the components that go into a successful water garden, like pumps, liner, filters, and accessories. Learn a little about what each of these componants do and why they're important to the aquatic wildlife habitat you're creating in your own backyard. Take the plung into the hottest new hobby, and fastest growing trend in the green industru ... you'll be glad you did.